I posted a year and half ago about this 1900 yachting misadventure. Well I came across a series of yachting disasters in the September 1947 issue of Yachting magazine. I reprint the paragraph verbatim. 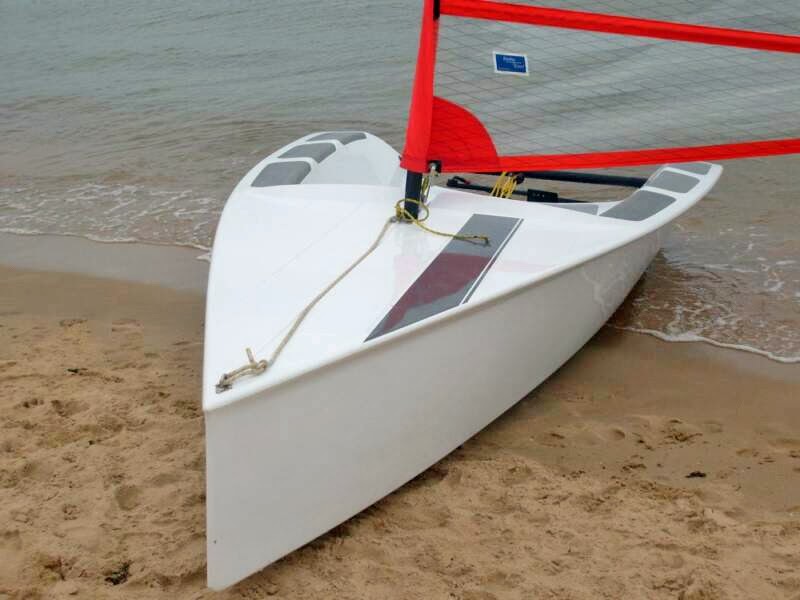 "Two high school boys tried the 80 mile crossing from Muskegon to Milwaukee in an 18' outboard. They were picked up by an ore boat nearly swamped in high seas, 18 miles out of Milwaukee.... A man sleeping in a rubber life raft atop a power cruiser disappeared in a passage from Chicago to Saugatuck.... Eleven outboard powered life rafts tried an experimental crossing from Sheyboygan to Ludington for the Army and took a terrible beating in high seas and cold for 18 hours. Four finished, the others were picked up or turned back. A Madison St. transient, changing his shirt on the Chicago River bank in a semi-comatose condition, suddenly found himself cruising on a log hollering bloody murder. And to paraphrase Walter Cronkite, "And that's the way it (is)was!" Music Whenever: Etta James "Hoochie Coochie Gal"
Etta James belts out her female version of the blues standard "Hoochie Coochie Man".This has the look of a basement tape... though it must have been a recording session. Singing to Chuck Berry as the primary audience is special.... also Robert Cray, lead guitarist, Mr. Jimmie Johnson, piano....and Mr. Keith Richards. 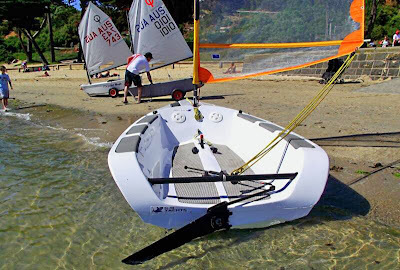 Call it kismet but when I wrote the previous post about a fellow who turned a Laser into a high-freeboard, double bottom singlehander, what do I come across on the Net-Toob's but an Australian production dinghy that is a high-freeboard, double bottom -- singlehander, sloop rigged -- your choice. About the same length as the Laser to boot. Enter the GO 4.8 which seems to be going down the same road as our Franken designer. Slab sided bow with high freeboard of the GO 4.8. Flat transom, high side decks of the GO 4.8. Interesting that he has incorporated transom sheeting for this design (and it looks like a centerboard instead of a daggerboard). And not only that! The designer has developed a wood kit so that home builders can put together a GO 4.8. More info on the GO 4.8 can be found here. I admit when I clicked on this video I had no idea where this fellow was going with this Frankenboat/Laser hull project. I won't spoil the surprise (it certainly involved a lot of wood!). To start off 2014, a tip-of-the-hat to my friends; some I have never met face-to-face, some I haven't seen in a while - we just trade Xmas notes about the previous year, some I bump into at the local grocery store and we block the aisles catching up and some I meet up with on a regular basis. Joe Cocker's seminal Woodstock performance of "With a Little Help From My Friends".